Looking to give your house an upgrade? Whether it's sprucing up the living room or your bedroom, it's safe to say that we all love giving our homes a new lease of life every now and again. And apart from adding in the odd plant or picture, one sure fire way to jazz any room up is to give it a little paint job. Well, Woodie’s surveyed the people of Ireland to find our their favourite colour for interiors... and now we know which colour people are very fond of. The nation’s favourite colour for interiors is *drumroll*... grey. 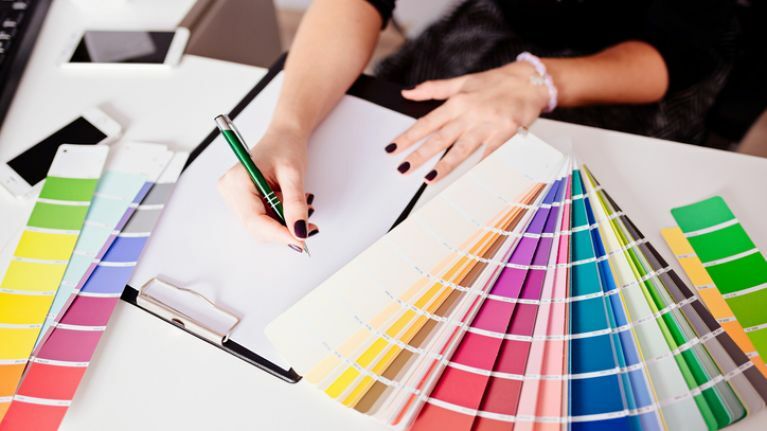 Four out of the five top-selling colours is a version of grey with Dulux Silverwood, Calm Cloud and Dapple grey dominating the paint colour chart. Long gone are the red feature walls too, as teal and navy are the statement colours of the moment, with the ‘dark neutrals’ making a space feel cosy and relaxing. And it seems like we prefer to keep our houses looking fresh as customers said they generally paint at least one room every two years with the living room appearing to be the most popular to paint closely followed by kitchens and the main bedrooms.